Can't get your kid to commit to her clarinet lessons? 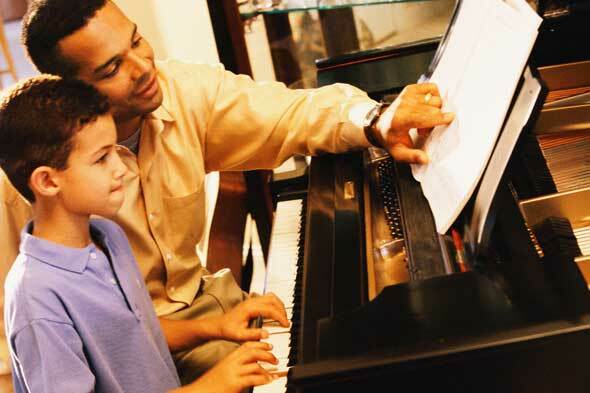 Trouble getting Junior to practice the piano? Here's a new bargaining chip: Mastering a musical instrument will make you smarter. The Independent in Ireland reports a study published in the journal Neuropsychology finds that those who played an instrument as a kid fared better on intelligence tests than others. And, for those who continue to play as adults, expect a sharper mind as you age. "Musical activity throughout life may serve as a challenging cognitive exercise, making your brain fitter and more capable of accommodating the challenges of aging," lead researcher Dr. Brenda Hanna-Pladdy at the University of Kansas Medical Center, tells the Independent. "Since studying an instrument requires years of practice and learning, it may create alternate connections in the brain that could compensate for cognitive declines as we get older." Published by the American Psychological Association, the Independent reports the study included 70 healthy adults ages 60 to 83, separated into groups based on their musical experience -- no musical training; one to nine years of training; and at least 10 years of training. The musicians, according to the newspaper, scored higher on a number of cognitive tests than those who had never studied an instrument. The Independent reports the highest-trained musicians performed the best, followed by the low-level musicians and non-musicians.